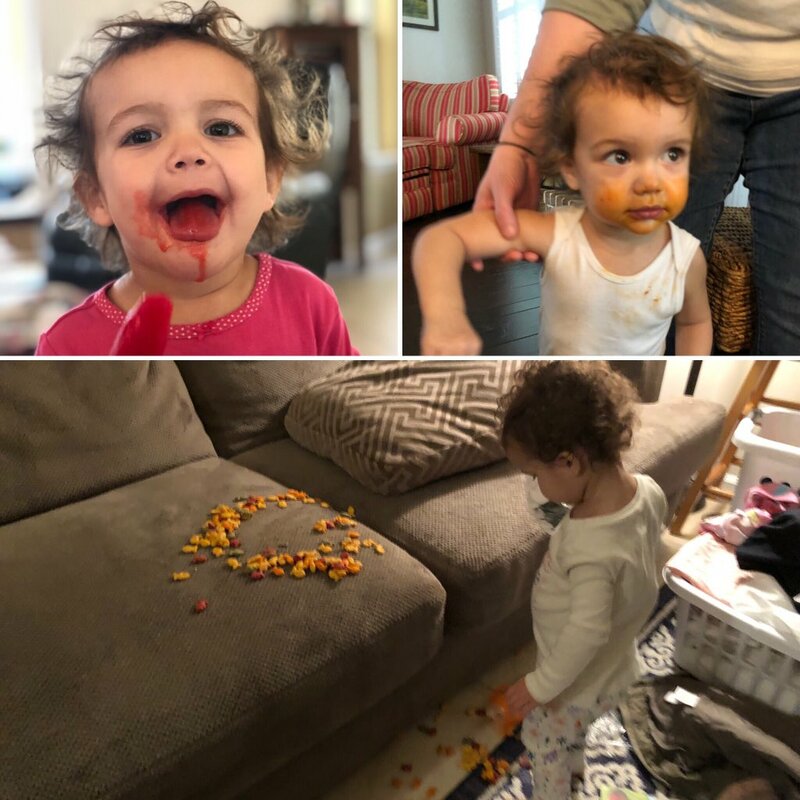 What A Mess – Let toddlers be toddlers! Sloan has created several messes this past week. You would have thought that her cherry popsicle suddenly melted on her face and it looks quite convincing that she wore more of her spaghetti than actually ate it. Then you have the Goldfish. This was not the first time she managed to steal a bag of the cheddar crackers and dump them out during the 10 seconds that daddy turned his head…and it most likely won’t be the last. Oh well, until she stains the carpet everything is OK! Sloan has had a messy week. Origin of Cookie Dough Ice Cream – As someone who has quite the history with chocolate chip cookie dough ice cream, I was a little surprised to discover that the flavor itself has a rather short history. Chocolate chip cookie dough didn’t hit grocery store coolers until 1991 when it was invented by Ben and Jerry’s. I found out this information when reading about its “Core” cookie dough ice cream flavors, the premium ice cream company’s latest rollout. These selections contain a cookie dough core with two different flavors of ice cream surrounding it. 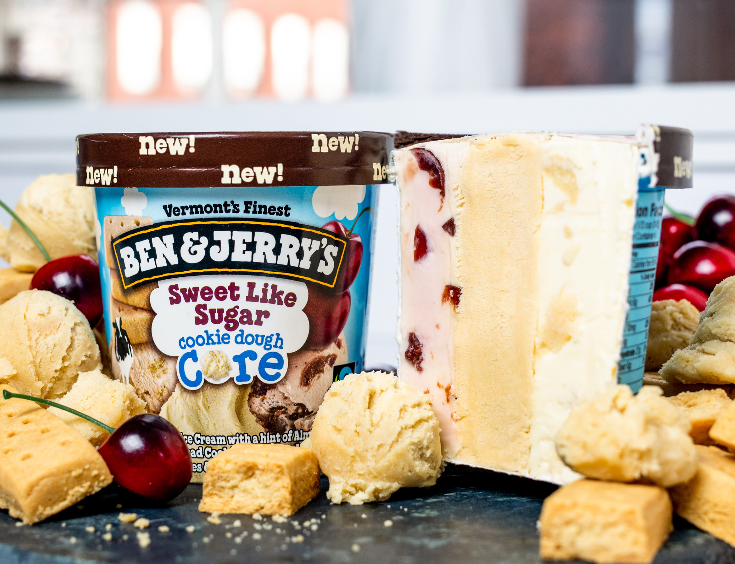 For example, the Sweet Like Sugar Cookie Dough Core option has a sugar cookie dough core and is layered with cherry ice cream and sweet cream ice cream. One of these pints is in my future! These new “Core” flavors from Ben and Jerry’s look incredible! Interesting Old Pictures – I follow a Twitter account that goes by the handle @HistoricalStuff. Its sole purpose is to tweet out old photos and some of the content is really interesting (stuff that I am a complete sucker for). I have included a couple of the more interesting photos I have seen this week. The first image shows Marilyn Monroe on her final photo shoot before she passed away. In my opinion, she doesn’t look as glamorous in this photo as she does in some of her more popular images, something that I can appreciate. She looks much more authentic and a little worn – but still pretty! The second photo is of Charlie Chaplin without makeup or a costume. So interesting to see him as just a regular guy. 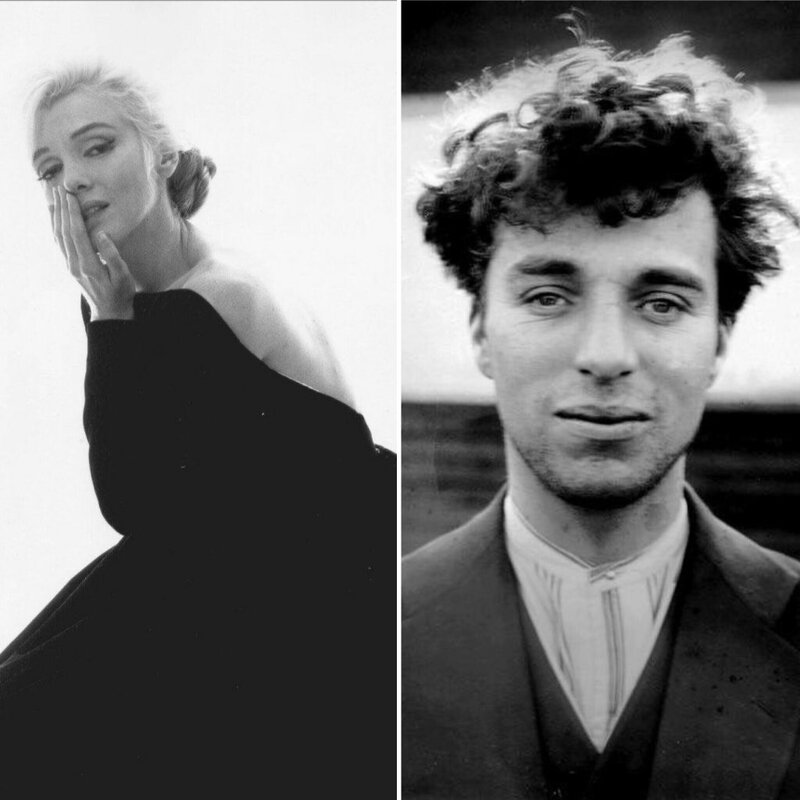 Marilyn Monroe on the left and Charlie Chaplin on the right courtesy of @historicalstuff. Joe Moglia Steps Down – At the end of the day last Friday, a press conference was held and Joe Moglia stepped down as head football coach at Coastal Carolina University. The former business executive said he just felt like it was time. I knew about Moglia and his unique story before I even got to CCU. When I was still at Montana, the Chanticleers came to town for a playoff game. On a frigid day in Missoula, Moglia outdueled another favorite coach of mine, Mick Delaney, to pull off the upset. Once I started working for CCU, it was fascinating to observe firsthand Coach Joe’s unconventional, yet highly successful, approach to running a football program. 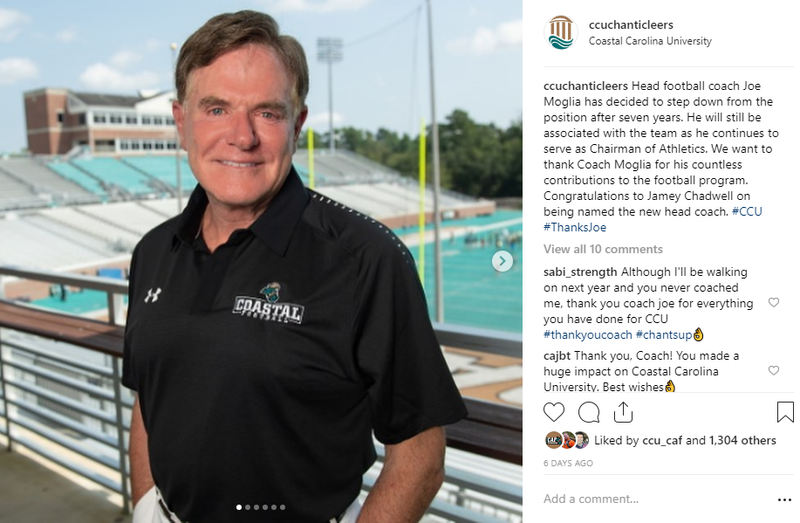 Last Friday, Joe Moglia stepped down as head football coach at Coastal Carolina University. Social media posts were in order! Still Not a Fan – Two years ago on this date, I wrote about the disdain I have for Top 40 music that was created in the early 2000s. I was pretty hard on the songs and artists of that era as I held nothing back. Do you think the past 730 days have softened by stance? Hardly! In fact, I think I hate the music from that time even more. Make sure to read the post to find out the song I tagged as the absolute worst of the era (it is really, really bad). Thank you for joining me for another Thursday Rundown. Tomorrow is the beginning of someone’s birthday weekend so I better sign off so I can prepare. See you next week! Don’t Blink. This entry was posted in Uncategorized and tagged Ben and Jerry's, Coastal Carolina University, Joe Moglia, when was chocolate chip cookie dough ice cream invented by brent. Bookmark the permalink.